Rising interest rates, swelling home prices and difficulty getting a loan are challenges kicking many first-time homebuyers to the curb and increasing the exclusivity of homeownership. North County real estate professionals discussed the housing market at a recent roundtable discussion hosted by The Daily Transcript at the North San Diego County Association of Realtors’ offices. The trend shows that investors are using all-cash deals to buy up inventory that would be attractive to first-time homebuyers. The available inventory is being further restricted to that buyer segment by low owner-occupancy requirements in condominium complexes that make getting a loan difficult. About 21 percent of San Diego County’s detached homes and 45 percent of condominiums are investor-owned, said Alan Nevin, director of economic and market research at Xpera Group. For many first-time homebuyers, their only shot in the county is to buy a condo, but Fannie Mae and Freddie Mac guidelines “basically almost force condo projects to become 100 percent investors,” Nevin said. There’s “amazing” value in condos, Nevin said, but buyers have to have cash to see that win. Robert Brown, economics professor at California State University San Marcos, said the rising rates, rising prices and the remaining challenges to get a loan form a "triple whammy" on certain types of buyers. Cristine Clark, Realtor at Realty Executives, said investors are still a huge part of the marketplace. “They feel the market is going to be strong through 2015, so they’re looking for inventory to flip,” Clark said. Carol Farrar, broker and Realtor at 1850 Realty, is seeing those first-time homebuyers who purchased in 2008 and 2009 coming back to the market as move-up buyers. Marie Jebavy, NSDCAR chairwoman, said she has seen a mix of buyers, including mostly first-timers. Clark said she’s seeing homeowners who want to move up at the same time they move out -- and she has about a half-dozen of those clients just waiting because they’ve had trouble finding that product. Nationally, the ratio of owners to renters is 3-to-1. In California, 45 percent own and 55 percent rent, a percentage that hasn’t changed for decades, Nevin said. In a normal California market, going back about 40 years, for each new home built, there are four resales, Nevin said. “But what do you do when you’re in an environment where we’re not building any new homes? What ratio applies? And the answer is that we’re going through an experimental stage now because we’re still moving out 40,000 resales a year,” Nevin said. The units being built north of state Route 56 start at a minimum of $700,000, which doesn’t match the income levels of the county, Nevin said. Increasing prices and rising interest rates have pushed up payments and caused sales to decline, but the total value of sales has increased, Brown said. Chris Hasvold, broker at Coldwell Banker Village Properties, stood out in the group as an agent who focuses on Fallbrook. Well-priced inventory is gone in a week, he said, but there’s a three-year supply of properties of more than $1 million. He said his inventory is up 40 percent year over year and sales have been holding firm. Spring has sprung, but the housing market might not see a significant shift from cold to hot. “I don’t think in California we even notice those cycles,” Clark said. Two-thirds of households in San Diego don’t have anyone younger than 18, meaning the school schedule won’t affect homebuying habits, Nevin said. Hasvold said May and October are historically his company’s best closing months, but not dramatically so. Violi said it’s June for him. Farrar said she has seen sales picking up after an “eerily quiet” December. She attributed the slowdown to uncertainty caused by the government shutdown and unknowns regarding the Affordable Care Act. “Our market is built on consumer confidence -- that’s all it is. Two years ago was a better time to buy a house -- based on interest rates and prices -- and why weren’t people doing it? Because they weren’t sure about what was going to happen,” Hasvold said. As interest rates increase, sellers reaching for higher prices are starting to fall back, Violi said. “We’re starting to see a push-back from buyers who are negotiating closing costs,” he said. Farrar said that’s part of a traditional market and marks a shift from a seller’s market to a buyer’s market. “The market’s really becoming leveled, which is exciting,” Farrar said. Hasvold agreed that a healthy market with 4.5 percent appreciation versus 21 percent appreciation is a welcome change. 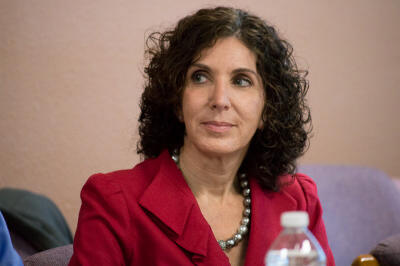 About 28 percent of those living in North County can afford a median-priced home, Brown said. Nevin said he tends to ignore the affordability statistic because it’s based on the whole population and homebuyers are only a small segment.